Chevrolet has pulled the wraps off the 2017 Cruze Hatch. That car shares the same tech and driving attributes as the 2016 Cruze sedan with a new hatchback body. 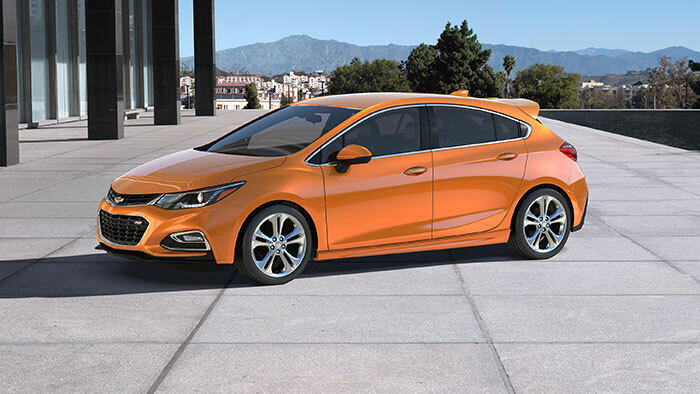 Chevy figures the new Hatch version will bring a “functional and sporty” choice to buyers. The hatch has the same 106.3-inch wheelbase as the sedan offers. The difference comes in the unique roof and rear-end structure that has wraparound tail lamps and and integrated spoiler at the top of the lift gate. The lift gate opens to 18.5 cubic feet of cargo space and with the rear seat folded down cargo space expands to 42 cubic feet. Chevy will offer the 2017 Cruze Hatch in LT and Premier trims with an RS package available. The car has Apple CarPlay and Android Auto compatibility. It will also rat out teens that don’t drive safely with an available Teen Driver features. Power comes from a 1.4L turbo four with start/stop tech inside. The 2016 Cruze Sedan gets up to 42mpg on the highway and up to 28mpg in the city, presumably figures for the hatch will be similar. Pricing for the Hatch is unannounced but should be announced in the coming months.